Whip-smart, outspoken, and unpretentious: an unusual blend of traits, but such is my take on Jane E. Lareau, my friend and sometime colleague of 30-plus years. Jane first earned her stripes as a journalist and later was a mentor who hired me twice to work in the field of institutional marketing and public relations. I learned as much from her as I took away from my master’s program. And I laughed more. Jane’s generosity and intelligence blended beautifully with her signature tenacity and dedication to preservation of the environment. Always the hard-working volunteer for conservation causes, Jane jumped at the chance to leave the bureaucratic world and help Dana Beach start up the Coastal Conservation League (CCL). At the time she was almost giddy, explaining that she was embarking on the greatest adventure of her life. She got that right. The combination of purpose and passion enabled Jane to achieve CCL’s goals and her own of moving down a road less traveled and making a world of difference. Environmental victories, support, and honors followed, and the CCL became a force and a voice in Charleston and beyond. One of Jane’s passions was global travel, and she helped organize CCL trips. Jane considered the inherent benefit of travel, when done responsibly and gently, to be life-enriching and a key component of a vision for planetary environmental sustainability. Always armed with her binoculars, alone or leading a CCL expedition, she was the consummate birder seeking the peace and simplicity afforded by time spent in the wild. Those were the values and bonuses that put a smile on her face and fire in her fight during the many years she was employed at CCL. Even the discovery of advanced ovarian cancer could not cause this crusader to cave: she battled the monster for many years, realistically acknowledging to me that so far she had beat the odds, but eventually she would not. But not today was the implication—not just yet. She showed us all. And she continued to lend weight to causes in which she believed and to travel to many corners of the Earth to celebrate the beauty of nature until her body could not go on. I knew she died before I knew she died: She was on my mind all day until I got the actual news, and I tried not to believe it—not just yet. But the end had indeed come. Her funeral, hosted by the holy sisters (including her own biological sister) of May Forest convent on James Island, was the perfect celebration of her life. We gathered beneath the gorgeous oaks with a backdrop of Charleston Harbor. The priest honored her request to keep it “short and sweet,” and a line of birds did visitation in the clear summer sky. That was classic Jane, for whom the sky was the limit. • Born in Woonsocket, RI, and reared in Sumter, SC. • Worked as a journalist for The Columbia Record and The State. • Moved to Charleston in 1979. • Wrote for The News and Courier, led the public relations department at the College of Charleston, worked in media relations at MUSC, and served as press secretary for Congressman Arthur Ravenel, Jr. The Natural Landscape (Legacy Pubns, 1988) with Dr. Richard Porcher. • Cofounded the Coastal Conservation League in 1989. • Was an active member and leader of the Sierra Club and Audubon Society. • Was honored with the Harriet Keyserling Conservation Advocacy Award in September 2011. On September 25, 1976, Spoleto Festival USA was in shambles. The first festival was eight months away. There was no program and no budget. The general manager resigned. So did the board’s chair and many of its members. This cultural lifeline for Charleston appeared dead, even before arrival. he miraculously turned the place around, getting it into the state system, putting it on solid financial footing, attracting a more diverse faculty and student body, and building enrollment to more than 5,000. On that fall afternoon in 1976, the mood among the remaining Spoleto board members was one of despair and defeat. Ted, the Mayor, and I walked into Ted’s office, where the Mayor asked him to take leadership of the board. “Yes!” Ted answered. “Do you think we can raise $100,000 locally for it?” the Mayor hopefully inquired. Jabbing his finger close to the Mayor’s chest, Ted emphatically replied: “We can raise $200,000!” And he did. Mayor Riley’s vision and Ted Stern’s bold leadership made it happen. Spoleto Festival USA exists and thrives today because of those two men. And Ted Stern’s legacy can be seen in virtually every institution in this community. Ted loved ambitious goals. Reaching the age of 100 may have been his final goal. He used to joke that his doctor told him, “I’ll get you to 100. After that, you’re on your own.” He luxuriated in the attention to his 100th birthday. He’d show me cards, read me notes, and recall everything that was said at a celebratory lunch. He was deservedly proud of each and every accomplishment. Ted Stern embraced life. And people. He loved people. During his last years, he lived in a modest apartment at Bishop Gadsden, where he spent much of his time in a comfy leather chair, with a tall stack of recently read histories and biographies nearby. “How’s my David!” he would exclaim whenever I walked in to see him. Putting down the book he was reading, he would stretch out his arms for an embrace. His enthusiasm lit up my heart. However good I’d felt before, I felt so much better now. We chatted about everything, as one does with a good friend. But we rarely reminisced. With Ted, you always looked forward. You became caught up in his curiosity, his appetite for information and ideas. And in his caring, his genuine interest in what others were doing and how he could help them. In early January this year, I told him that a longtime family friend, Caroline Lee, was visiting from Lafayette College, where she had recently become a tenured professor. “Oh, I would love to see her!” he said. We set a date for Friday. Over the years, I had asked Ted for his guiding principles in life. He always deflected the question. But, based upon his actions and our many conversations, I think these would have been his answers: Remain positive and curious. Embrace your family. Work hard. Always do what you think is right. Stay physically and mentally active. Meet new people, especially young people. Nourish your faith. Keep giving. Know when to leave. Throughout his life, as Ted accomplished one extraordinary goal after another, he had an uncanny knack for knowing when to move on. Reaching 100 may have been his last goal on Earth; but now it was time to focus on his ultimate goal—reuniting with his beloved wife, Alva, who had left us almost four years earlier. And so, five days after that exhilarating meeting with Caroline Lee, Ted died peacefully in his sleep. How emblematic of Ted Stern: he never stopped giving. • Born in New York, NY. • Attended Johns Hopkins University in Baltimore. • Joined the Maryland Naval Reserves in October 1940. • Served during WWII and was awarded a Bronze Star with a “V” for valor. • Served in naval posts around the U.S., earning the rank of Captain in 1959. • Moved to Charleston in 1965 to head the Naval Supply Center, where he led the first Equal Opportunity Commission in the Armed Forces. • Served as the 16th president of the College of Charleston from 1968 to 1978. • Was the founding president of Spoleto Festival USA, was president of Charleston Rotary, and helped start the Coastal Community Foundation. • Received the Elizabeth O’Neill Verner Award from the South Carolina Arts Commission, the Special Award for Historic Preservation from the National Trust for Historic Preservation, and the Chairman’s Award from the South Carolina Aquarium. 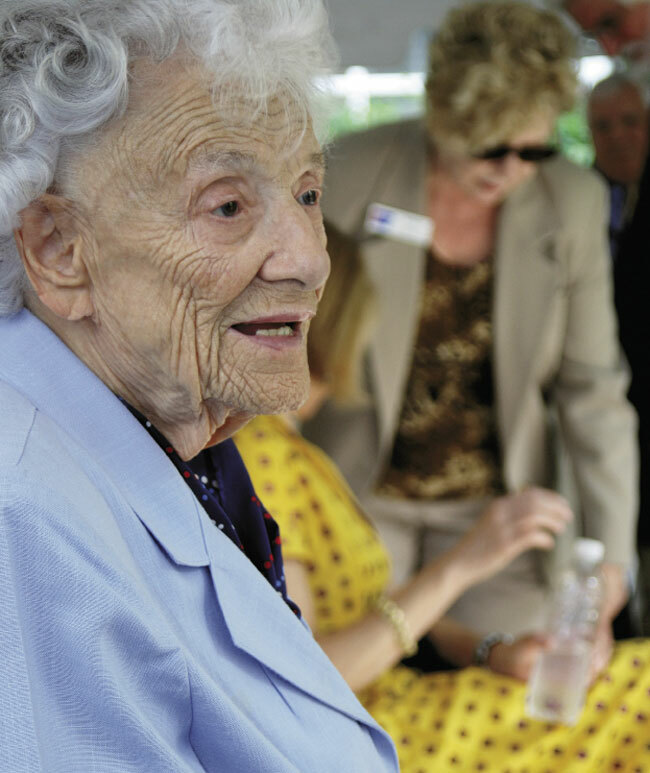 She was much more than a social butterfly—always fashionably dressed, abundantly bejeweled, and capable of talking to anyone—Vanetta Bing Etheredge was also a person who had a tremendous love for children, especially those most at-risk in our society. I first met Van in 1981 when my family moved to Charleston. Van and I clicked right away because we had several things in common: we were recent transplants with young children and careers as educators. Van, then teaching at St. Andrews Elementary, told me about a student that she was finding difficult to teach. She felt the girl needed a different type of instruction. She told me about her many meetings with the school counselor and the family, whose underlying objection was that they thought people on their upper social level would never put their children in a special education program. Ecstatic, Van received more training and credentials and moved to Sanders-Clyde Elementary as a learning disabilities resource teacher. In 2002, she brought the HOSTS (Help One Student To Succeed) program to the under-performing school. She received approval to implement it but needed volunteers. Famous for her gift of gab, Van was her own best recruiter. At a Charleston Chapter of The Links meeting, Van enthusiastically described the program. Many of us signed on and began a journey with these children, monitoring their progress and in many instances taking them to community-sponsored events. After Van’s retirement in 2004, she still felt the need to help at-risk children. She wanted to bring the Charleston Book Buddies, a mentoring project for reading readiness, to Mary Ford Elementary. School officials agreed that although the program was needed, there were no funds to support it. Never one to be dissuaded, Van raised the money herself, speaking to many social, civic, and business organizations to ask for mentors and financial support. Ultimately, she received enough of both, rallying more than 144 volunteers to conduct the program. While you might think that Van was all work and no play, nothing could be further from the truth. I can still hear her laughing about the times the two of us and our husbands attended concerts at the former County Hall on King Street. One evening, we went to see the Gap Band. We sang and danced to “You Dropped the Bomb on Me” and “Early in the Morning.” When we finally took our seats, we sized up the audience and concluded that we were the oldest people there! Van couldn’t care less. She always had a good time. Van was invited to most every social and civic event in town, and she went to them all. 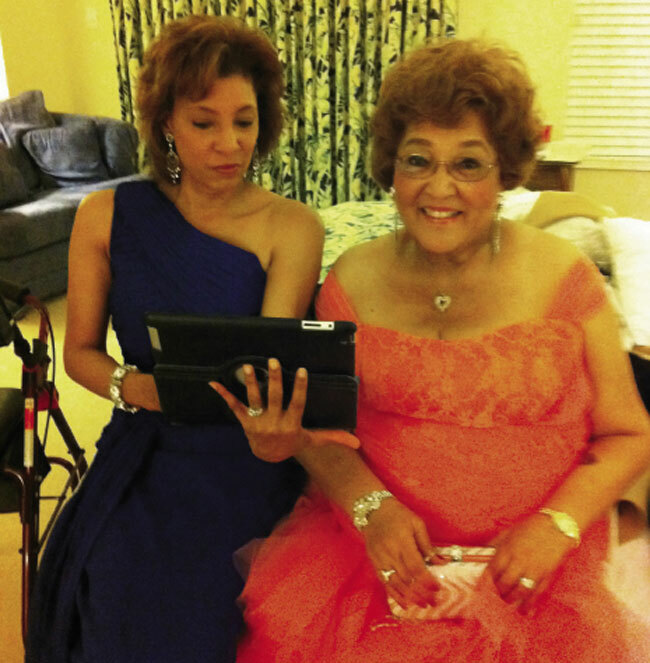 I can see her now out on the dance floor, in a gorgeous gown and jewelry, dancing the electric slide with her husband, Jim, at her side, even in the years when her health began to decline. Van loved children and life in general, and I am glad I was a part of hers. • Born in Allendale, SC. • Received her B.S. in elementary education from Claflin University and her master’s in teaching at Winthrop University. • Taught elementary school in Rock Hill from 1966 to1979. • Moved to Charleston in 1980. • Taught fifth grade at St. Andrews Elementary from 1980 to 1994. • Received the Outstanding Elementary Teacher of America award in 1975 and 1995. • Was a learning disabilities resource teacher at Sanders-Clyde from 1996 to 2002. • Started HOSTS (Help One Student to Succeed) at Sanders Clyde in 2002. 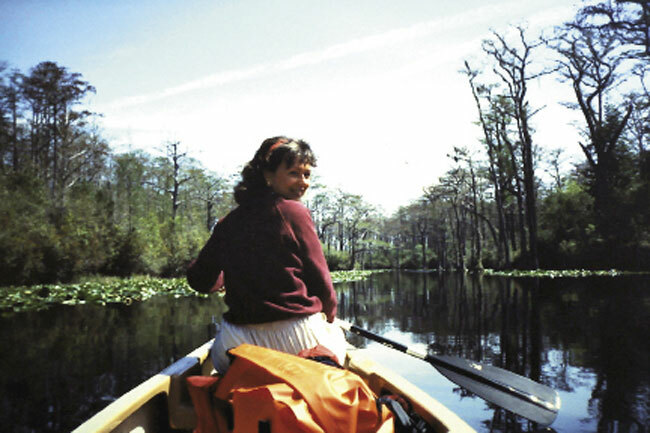 • Received the Women of Distinction Award from the Girl Scouts of the Lowcountry in 2004. • Brought the Book Buddies mentor program to Mary Ford Elementary in 2004. When people asked my father the secret of his longevity, he always gave the same answer: “Clean living,” and it was true. He drank one glass of muscadine wine a day and never smoked. “Clean living” also meant fishing, growing grapes, making wine, watching birds. But shortly before his death at the age of 98, when someone asked the question, his answer was different: “Never let sadness into your life.” Also true. He was a willfully happy man. I’d seen him break down once, though, the day my mother died. They’d been married for 67 years. Without her, Daddy was lost in sorrow. Because he was 94 with a touch of Alzheimer’s, my husband and I moved him into our house, where he spent the next four years recovering from grief while simultaneously sinking into his disease, which took the form of lucid weeks punctuated by short bouts of delusion. But he always came back to reality, and one night he told his hospice aide about the day he met my mother. To be in his company while these memories visited him was a great privilege and an opportunity. I got to know him better, and I came to love him more. I’d always known and loved him well, exceedingly well, but now my understanding deepened, and the love changed into something more mysterious and harder to explain. Less a sentiment, more a force of nature. 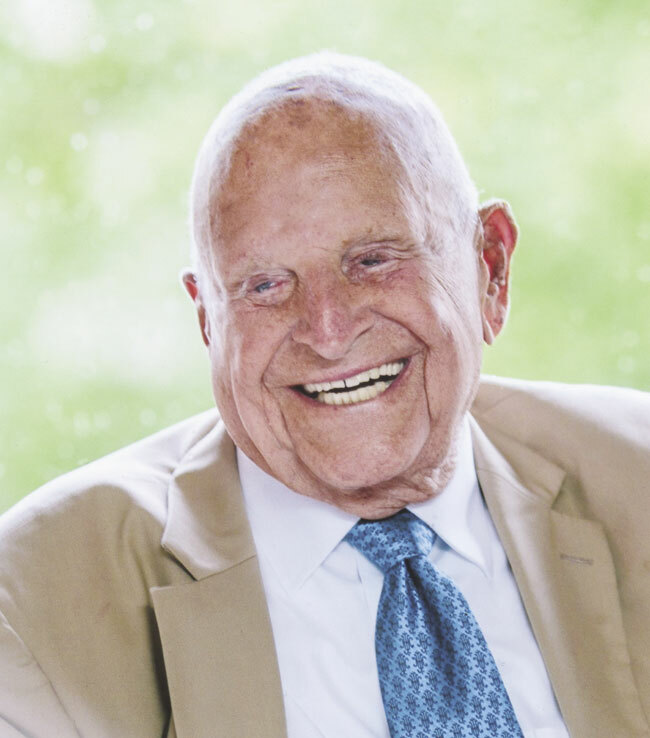 When he died in August, there were newspaper stories about his accomplishments as director of the Charleston Development Board and his success in convincing industries to locate here, as well as his part in establishing industrial parks and technical schools. I’d witnessed his total dedication to those goals. But the public man described in the newspaper wasn’t fully the man I knew. And the man I knew was someone not publicly known. Daddy had always been witty, but as his grief faded he became downright playful, always ready with a joke or wordplay. When my sister said, “Daddy, maybe you can get some nap time now,” he replied, “I have plenty of nap time. I’m just not using it.” He whistled a lot, too. Never let sadness into your life. Experts told me I should understand that my father was not really my father any more. I shouldn’t look for meaning in the dementia. But how could I believe that? There was sense—and maybe genius—in some of his verbal confusion. Dad: I need to find the gold-duster. Dad: The thing you write your books with! For a long time I slept with a baby monitor on my pillow so I could hear Daddy if he needed help. Every night I fell asleep with the sound of my father’s breathing in my ear. I seemed to hear it even while I slept; sometimes I still hear it. I can hear his songs and his whistling, his laugh and the announcement he made the day before he died: “Looking back down the track, I see no accidents.” I hear his very last words, spoken after a long day of pain, when the nurse’s aide asked how he was doing. “I’m doing pretty good,” he said. • Born in Charleston, SC. • Graduated from the College of Charleston and attended Harvard Business School. • Served with the Coast Guard during World War II. • Was assistant director and then director of Charleston Development Board from 1945 to 1982. • Helped bring corporations, such as Cummins, Bosch, Alumax (now Alcoa), among others, to the area and develop Bushy Park Industrial Complex. • Helped establish the state’s technical college system. My grandmother wore many hats. Margot was a dedicated professional in her field of physical therapy and a tireless volunteer for organizations such as the American Cancer Society, the Charleston Symphony Orchestra, and the Chamber of Commerce. She founded the nation’s first Hope Lodge here in Charleston in 1970 as a free place for cancer patients to stay while receiving treatment away from home. She was also a Holocaust survivor and a refugee. But most importantly to her three grandchildren and five great-grandchildren, she was the world’s best grandmother. No matter how busy she was with her career and her volunteer work, she always made time for us. My memories of “Mogee” begin during my childhood, when I would spend most Saturday nights with her. As the youngest and the only boy, I had her full attention. She would take me to Walgreen’s in South Windermere Center to buy me a model car. Then we would go back to her house, where I would sit on a stool and work on my model on the small round table in her living room. Even as I would get frustrated with it, she always encouraged me and made me feel so special. When we retired for the night, she’d let me stay in her room in one of the two twin beds, and we’d sit up watching TV shows until I fell asleep. My grandmother was multidimensional and multitalented, but the quality that transcends all was her ability to give her attention to the task—or the person—at hand. Whoever was with her at the moment felt special and felt her love. It’s sometimes hard to fathom that kind of loving focus, when she came from such suffering and hardship. In 1939, as a 32-year-old Jewish woman with her 10-year-old son, Margot was forced to flee her native Germany or perish. Her family had been in hiding in Berlin awaiting papers from my grandmother’s paternal uncle, Zigfried Strauss, a naturalized Brit, allowing them passage across the channel to England. Without them, they would have been taken to Theresienstadt or Auschwitz. My grandfather’s uncle, Louis Freudenberg, was deported to Theresienstadt, where he died with other relatives who were not so fortunate. Margot emigrated to Charleston in 1940 with my father and grandfather. She told me her story many times, and I’ve documented it in my memoir, Ordinary Jews in an Extraordinary Land. Instead of leading a bitter and resentful life, she dug in her heels and became one of Charleston’s most cherished citizens. She said she had a debt to repay to this country for giving her a new life in freedom. She repaid that debt tenfold through her work as a physical therapist and a volunteer. I am grateful to have had her as my grandmother but even more so that she was able to touch the lives of my children, Cara and Stephen. I hoped that they would know their great-grandmother and that she would be there until a ripe old age of 90. Every year she would tell me, “I may not be here much longer.” But thankfully year after year—15 more—passed by. She had a profound impact on her five great-grands, who are now in their twenties. There is a concept in Judaism, Lamed-Vav Tzaddikim, that at all times there are 36 righteous people in the world. Nobody knows who they are, and they themselves are unaware of their role. I believe that Margot could have been a lamed vav tzaddik because she showed the goodness of humans even after suffering, standing as a testament that you can overcome the worst of situations and be able to give back so much to so many. • Born in Hanover, Germany. • Received her degree in physical education and therapy from the University of Munich in 1928. • Escaped Nazi Germany in 1939. • Arrived in Charleston in 1940. • Was the American Cancer Society’s longest serving volunteer (1942 to 2013). • Created an interpreters list of local foreign language speakers to assist medical and emergency personnel in 1957. • Received the South Carolina Order of the Palmetto in 2007. Written by Mayor Joseph P. Riley, Jr. 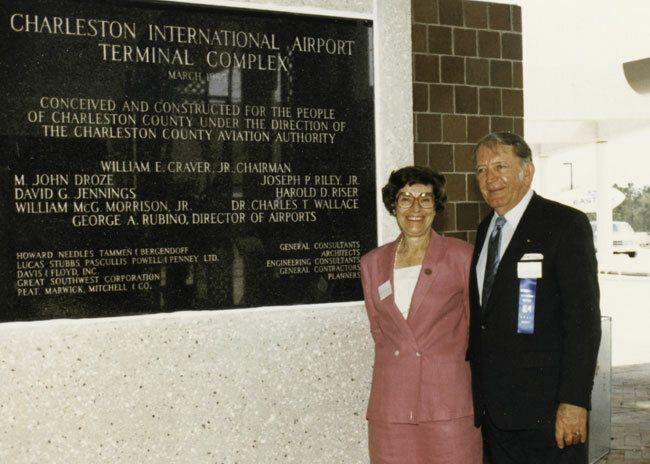 In Bill Craver’s later years, every time I would see him, usually at a city event he dutifully attended (he would not miss one), I made it a point to let him know of my gratitude for his extraordinary leadership that made the Charleston International Airport and the subsequent development around it possible. Here is the reason why I would do that. Bill Craver was the first chair of the Aviation Authority and guided it for two decades. The Aviation Authority was created as an initiative of the City of Charleston in the early 1970s. The city owned the Municipal Airport, which was quite small, and Mayor Gaillard realized that a larger airport to serve the region was necessary and beyond the means of Charleston or any single municipality. Bill Craver was a visionary, a quintessential big thinker. He sought to fully understand the possibilities of Charleston having a modern airport facility. He became an expert. He and the consultants we retained studied airports around the country. He understood not only the big picture but the small details. He attended to the Aviation Authority’s responsibilities as if he were taking care of his own business. We could not have had a better steward during those developing years. 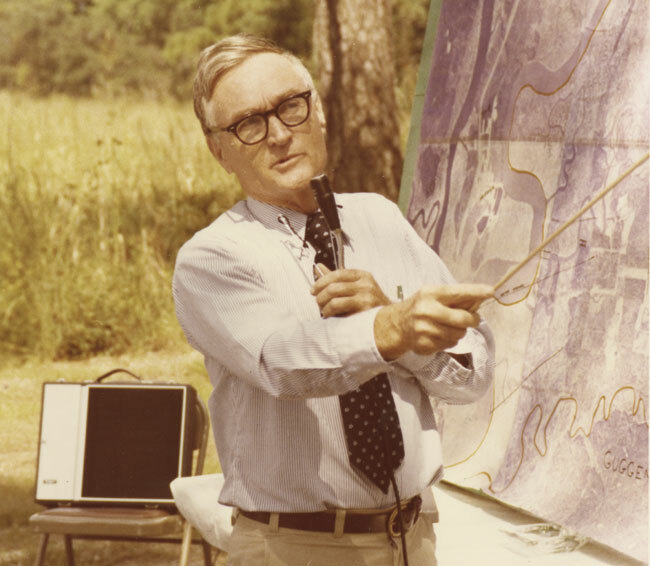 Bill understood the importance of the Aviation Authority acquiring all available undeveloped land adjacent to the Authority. He provided the leadership to buy the massive acreage from Georgia Pacific which, of course, many years later made it possible for Boeing to come to our community. The airport was also a large financial challenge. Bill worked closely with former Governor McNair and his law firm to develop the revenue bond financing technique that enabled the modern airport to be built. Bill chaired the Aviation Authority in a fair and inclusive manner. The meetings were always a pleasure, even when there were differences of opinion and very complicated matters to discuss. All he wanted was what was good for the airport and, of course, what was good for our community. Cities and their regions are shaped by many things—their natural assets and the collection of businesses and institutions. They are also shaped by special people and dedicated leaders. Bill Craver was one of them. I think of him every time I go to the airport and always will. Had it not been for him, the Charleston region would not be the place it is today. • Born in Columbus, GA.
• Graduated from the U.S. Merchant Marine Academy. • Served during World War II in the U.S. Naval Reserve. • Moved to Charleston in 1946. • Was president of Universal Financial Corporation, a local firm involved in financing, franchising, manufacturing, real estate, shipping, and transportation. • Served 20 years (1970 to 1990) on the Charleston County Aviation Authority—which owns and operates the Charleston International Airport, Charleston Executive Airport on John’s Island, and the Mount Pleasant Regional Airport—and was chairman for 18 of those years. • Led the planning and building of the Charleston International Airport, which was dedicated to him when it opened in 1985. • Received commendations from the Federal Aviation Administration, the U.S. Air Force, and the SC General Assembly. • Was named “Man of the Year” by the Executive Association of Greater Charleston in 2012. • Was awarded the Order of the Palmetto in 2013. • Was a founding trustee and past president of The Hibernian Society of Charleston Foundation, past president of the Navy League of Charleston, and a member of the Board of Trustees and president of Patriots Point Naval and Maritime Museum Foundation. • Was a member of the Citizens Advisory Committee, Hollings Cancer Center, and MUSC, as well as an honorary life member of the Executive Association of Greater Charleston and the Metro Chamber of Commerce.